In the 15th century a type of vodka was used for making gunpowder in Sweeden. The patent for Moskovskaya Osobaya Vodka Bottle was acquired in 1894. 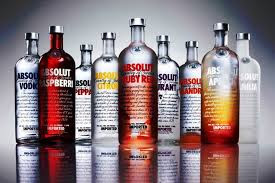 Vodka is the purest drink in the world as it contains less fusel oils. Till 1885 vodka was sold only in the amount of 12.3 liters and not less. Regulation of many countries demand minimum of 40% of alcohol content in vodka. The first mentioning of distillation comes from the 1st century AD Greece. They used this process to extract salt from sea water. Vodka is fermented from grain, and is normally colorless. In Russia, the home of vodka, the first uses for the drink was for medical purposes. In Poland it Vodka was sometimes scented and used as aftershaves. Many countries around the world have their own recipes for making vodka. They sometimes don't even use grains, but include fruits, molasses and more. The main reason why vodka became so popular in Russia was because the spirit never froze in the hard Russian winters. This is due to the high alcoholic content. In the Ukraine they call vodka, horilka, and the word for vodka comes from the Russian word voda, which means water. This is attributed to the water like appearance of vodka. A liter of vodka weighs 953 g.
It can be stored only for 12 months. Vodka is excellent disinfectant, and was used for a long time for treating soldiers in many wars. Medical staff often gave large quantities of vodka to the wounded soldiers as an anesthetic. Moderate use of vodka can have many benefits on the human metabolism. It keeps cholesterol and arteries healthy, its excellent remedy against cold sore and fever, prevents stroke, heart attack, and Alzheimer's. The prototype of vodka (Aqua-vita) was brought to Russia by Italians in 1429. During the reign of Ekaterina the Great vodka was considered as the most elite drink in the world.